As Turkey recovers from an attempted coup, it has an opportunity to move in a new direction. And while it is neither a failed state nor emerging from a civil war, it might be useful to see itself as such in the transformation process. The state needs to be rebuilt as though part of a post-conflict reconstruction effort. Turkey is not Afghanistan, Iraq or Somalia. On the contrary, it is one of the strongest countries in its region in terms of its economy, military power and governance. 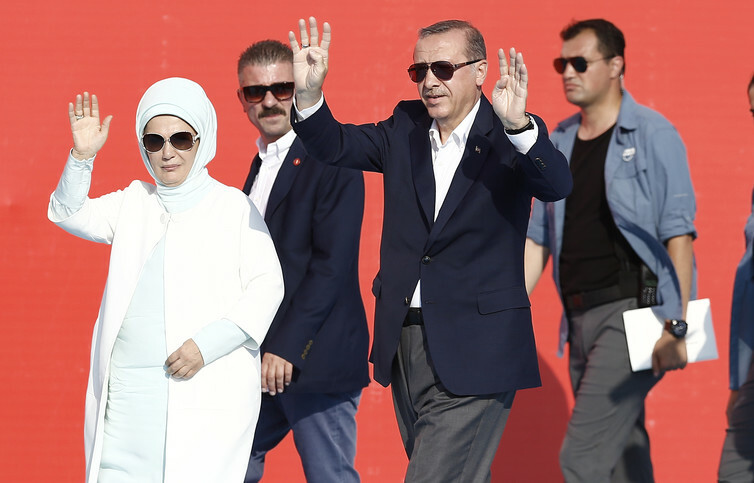 However, the attempted coup against the government of Recep Tayyip Erdoğan on July 15 exposed a number of significant problems on all three fronts. They are of such a scale and depth that Turkey could, and in fact should, learn from how other countries rebuild after conflict – imperative if it is to avoid future coup attempts and even a possible civil war. Had the coup been successful we would, today, have been witnessing the “Syrianisation” of Turkey. The pro and anti-coup elements in the military, and the coup organisers and the police, would have probably ended up waging a civil war against each other. The way in which the public went out into the streets to stand against the coup also indicated that a successful coup regime would have been fighting opposition from the public too. In short, society would be divided along numerous political, ethnic and sectarian fronts and a bloody civil war might even have ensued. Consider the huge international security ramifications that the crisis in Syria has already caused. It has turned the country into a centre of global jihadism and driven millions out, sparking a continent-wide refugee crisis. A civil war in Turkey – a much more significant country internationally – could have meant even greater upheaval. The failure of the coup was therefore a narrow escape, not only for Turkey, but also for Europe and the world beyond. As it is, since July 15, tens of thousands of staff in the military, judiciary, police, intelligence service, academia, schools and various ministries and national authorities have been dismissed or suspended. Nearly 25,000 people have been detained or arrested and these numbers increase on a daily basis. This is aimed at weeding out supporters of Fethullah Gülen, who is accused of masterminding the coup attempt. President Erdoğan claimsthat a “parallel state” system had been established by Gulenists who had infiltrated the Turkish government, private sector, media and education system. However, if these people had been able to infiltrate the state to such a dangerous degree, how they were able to do it? Revelations over the past few weeks point to nepotism, corruption and short-termist political manoeuvring. It is claimed that the Gulenists placed their supporters in key public sectors using various tactics, including stealing questions at national exams for civil servants and blocking promotions for their rivals. It would follow from Erdoğan’s argument, then, that the Turkish state has been failing to implement the number one rule of good governance: employing public workers on their merits. This should be the most important factor to bear in mind during the post-coup statebuilding process. In replacing thousands of public workers the only criteria that will really matter should be applicants CVs, otherwise many other religious brotherhoods might now see an opportunity to infiltrate the state system. If the government fails to establish a transparent, accountable and merit-based recruitment and promotion system as the norm in public life, Turkey may not be so lucky in repelling a next coup attempt, be it civilian or military. Turkey also needs to rebuild itself as a state in which legislative, executive and judicial powers are clearly and effectively separated. Otherwise it will continue to be plagued by security threats, including those that target its very existence as a country. The concentration of power in Erdoğan’s presidency was one of the most controversial issues before the failed coup attempt. If nothing else, Turkey must have now learned that democratic checks and balances and rule of law are a must for the survival of the state. The accumulation of power in a single office is a sure recipe for societal polarisation. It breeds damaging levels of mistrust between society and the state. There is now an opportunity for Turkey to restructure itself as an accountable and transparent state for all of its citizens. The failed coup also underlined the importance of secularism for Turkey and why Turkey’s founder, Mustafa Kemal Atatürk, made it the main cornerstone of the Turkish Republic. There should now be no ifs and buts with these principles. The country needs to re-establish, protect and maintain this. Turkey must become a country where freedom from fear, freedom from want and freedom to live in dignity are clearly ensured and protected. This is the only way to deal with wider peace and security problems, from the Kurdish insurgency to other terrorism risks. In other words, Turkey needs to stop thinking about security through guns and weapons, and come to the realisation that, as Gandhi once said, “peace is the only way”. 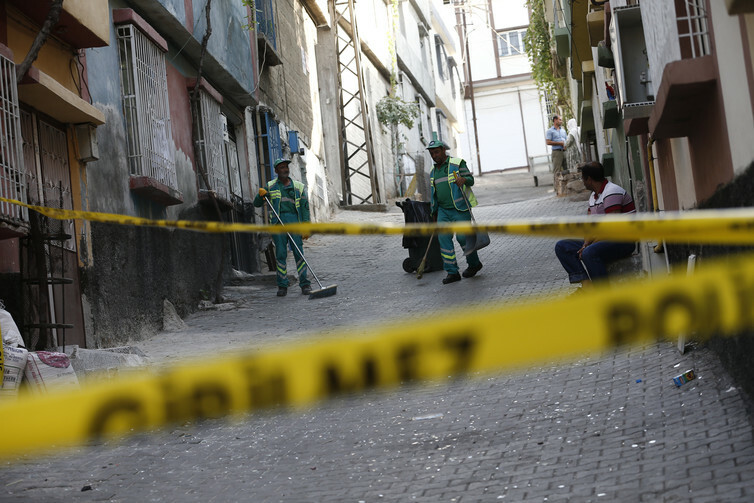 After its collapse in 2015, the peace process in Turkey needs to be re-initiated. The Kurdish PKK is killing indiscriminately and the resolution of the Kurdish issue can no longer be postponed, particularly when the country is facing a major security risk posed by Islamic State. To help with all this, Turkey should use some of the well-known tools for post-conflict statebuilding, such as truth and reconciliation commissions. It might not be possible to identify the full scale of any Gülenist infiltration through purely punitive means. A commission in which everyone is open and honest might be a most effective long-term approach. Similarly, the state needs to investigate itself and its role in the creation of possible security threats. The way the public and all political parties reacted to the failed coup should be considered a great opportunity to initiate such a reconciliation process. The Kurdish political party, HDP (which expressed clear opposition to the coup attempt), should be brought into the fold in the rebuilding of a new Turkey. After the IS suicide attack on August 20 at a wedding in Gaziantep, Selahattin Demirtas, the leader of HDP, called all political parties to mourn for the dead side-by-side. Such opportunities to make peace and reconcile are rare, and therefore, should be seized upon.